Continuous Blood Glucose monitoring helps people with diabetes manage the disease and avoid its associated problems. A person can use the results of glucose monitoring to make decisions about food, physical activity, and medications. The most common way to check glucose levels involves pricking a fingertip with an automatic lancing device to obtain a blood sample and then using a glucose meter to measure the blood sample’s glucose level. Continuous blood glucose monitoring (CGM) systems use a tiny sensor inserted under the skin to check glucose levels in tissue fluid. The sensor stays in place for several days to a week and then must be replaced. A transmitter sends information about glucose levels via radio waves from the sensor to a pager like wireless monitor. The user must check blood samples with a glucose meter to program the devices. Continuous blood glucose monitoring systems are more expensive than conventional glucose monitoring, but they may enable better glucose control. Users can set alarms to alert them when glucose levels are too low or too high. Special software is available to download data from the devices to a computer for tracking and analysis of patterns and trends, and the systems can display trend graphs on the monitor screen. Some of the key factors to remember when it comes to diabetes and properly maintaining them is that Glucose monitoring helps people with diabetes manage the disease and avoid its associated problems. The most common way to check glucose levels involves pricking a fingertip to obtain a blood sample and using a glucose meter to measure the glucose level in the sample. Continuous blood glucose monitoring (CGM) systems use a tiny sensor inserted under the skin to check glucose levels in tissue fluid. A transmitter sends glucose measurements to a wireless monitor. What are links between diabetes and joint pain? Diabetes is a very serious condition that damages the body. This condition is also called hyperglycemia, or high blood glucose. This life changing condition affects over 30 million people in the United States alone, and 15 million of these don’t even know it. Diabetes is where the pancreas is failing to manufacture proper amounts of a serious hormone called insulin. Insulin is used by the body’s system as a sugar converter. In order for glucose, also called sugar, to be used it must bond with the insulin. Without proper amounts of insulin to bond with the sugar the sugar goes unused. This makes the blood sugar levels rise to dangerous levels. At a glucose level around 140 mg/dl the body begins to suffer damage to some of its main systems. The areas that are most commonly and severely damage are the heart, kidney, eyes, and nervous system. Also all damage that is done is permanent and cannot be reversed in any way. So this means controlling your blood sugar is a very serious matter that must be managed. So what are the links between diabetes and joint pain? Diabetes and joint pain have no major links to each other. But the joint pain can be caused by diabetic neuropathy; this is where the body’s nerves have been damaged and thus send pain signals. Diabetics are also more prone to bone and joint problems. But many other problems happen such as damage to the cells of the heart, and eyes. These cells are extremely susceptible to high blood sugar levels. The kidneys can become damaged by having to clean the blood of excess sugar. So talk to your doctor about links between diabetes and joint pain and see what he says about it. What is a borderline diabetic diet? For people that are getting close to having diabetes dieting is very important. Pre-diabetes is a severe warning sign of an incoming disaster. Diabetes is a very serious disease/condition that is taking over the world. It is being feed by large amounts of sugary foods and a defective gene that are being passed on thru long life spans for diabetics. Diabetes is a very serious condition/disease where the main organ most commonly known as the pancreas is not functioning correctly or efficiently, like it should be. The organ known as the pancreas is responsible for the production of many things including bile (stomach acid), insulin, and other very important hormones. However, diabetes is where the pancreas organ is not producing enough or any at all, of the chemical/hormone called insulin. This chemical is responsible for many different reactions that happen in the body. However, the insulin’s main responsibility is in your body’s cell energy. It must bind with the sugar molecules in the blood stream, also known as glucose molecules in the blood stream, before the cells are able to use it, so if there isn’t enough hormone insulin the sugar is not used and begins to build up. At a certain sugar/glucose level around 140 mg/dl the body begins to suffer some permanent damage to some main organ systems. The major heart, eye, and kidney cells will all suffer some severe and permanent damage, plus the increased risk of certain diseases. The nerves, especially in the feet and hands and throughout the body, will also begin to suffer permanent damage. The damage that is most often associated is not reversible, and will not be noticed till later in the diabetic’s life. This will make the diabetics life very painful, dreary, and tiring later on in life. So reducing and controlling their high blood glucose levels is essential for a long and healthy life. So what is a borderline diabetes diet? A borderline diabetes diet is a diet that is used to lower blood sugar. These diets are offered by your doctor when he sees your blood sugar levels at a very serious level. The will make you take this die to help save you from diabetes. So now you know what a borderline diabetes diet. 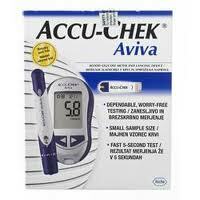 Accucheck glucose meters are one of the new breed of compact glucometers. The accu check glucose meters are so small as to fit neatly in the palm of the hand and so light at to be practically unnoticed when stowed in a purse of carry bag for easy travelling. The newest accu check glucose meters are a miniature when compared to the bulky meters that were available just a few years ago, and it is so sensitive that it takes only the smallest amount of blood to read the glucose level. This means that a thinner gauge lancet can be used to obtain the blood sample and this of course means a great deal less discomfort than the meters that were used just a few years ago. The accu check glucose meters are also fast. The days of waiting a minute or more for a glucose reading are gone, the newer model meters are able to read the blood sugar in just a few seconds. The accu check can store and recall a multitude of readings complete with a time and date stamp for each reading, and can even be set up to make trending and tracking your blood glucose levels quick, simple, and easy. If you are a diabetic who also uses insulin, the accucheck glucose test meter even allows you to record your insulin doses for easy tracking and access, so practically all your treatment information can be kept in one place. If you are in the market for a new glucometer, or if you are newly in need of one, the accucheck glucose meters are one of the best options on the market today. When you buy an accu check you will get all the best features of the new generation glucometers rolled into one compact yet powerful little unit. The chief concern among diabetics and those who are running the risk of diabetes is high blood sugar and people are forever looking for new ways to lower blood sugar fast. The truth is that once blood sugar levels are raised the only way possible to lower them quickly is through the use of insulin. Without insulin the blood sugar levels will only drop very slowly as long as no other food is eaten and the body rids itself of excess glucose through other means, and this definitely will not lower blood sugar fast. When sugars and carbohydrates are ingested the body converts these into glucose, and while glucose is used by the cells of the body for energy, if healthy blood glucose levels are not maintained damage can be done to many of the body’s systems. Glucose, once in the blood can only be used by the cells when insulin is present. It is the insulin which causes the glucose to be able to enter the cells where it is used for energy, and without insulin or in cases of insulin resistance the glucose can build to unhealthy levels in the blood and without insulin it is impossible to lower blood sugar fast. The healthy blood glucose levels for normal people is between 60 and 100, and any glucose level higher or lower then this may signify the development of diabetes. In most cases the onset of diabetes will be accompanied with increased thirst, increased urination and incessant hunger. If you have experienced these symptoms for any length of time it may be a good idea to visit your doctor for a simple glucose tolerance test which will determine if your body is regulating glucose correctly. If you are diagnosed with diabetes and you carefully manage your treatment you can still live a long, normal, and active life as long as you carefully maintain healthy blood glucose levels by keeping tabs on your eating habits and medication usage and remember, once its elevated there’s no way to lower your blood sugar fast. Good foods for diabetics are generally the kinds of foods that would be good for anyone. The key issue in controlling diabetes by diet is to eat foods that will provide good healty nutrition without throwing glucose levels abnormally high. Since glucose is a simple form of sugar which the cells of the body need for fuel and glucose is present in nearly all foods it is therefore important for the diabetic to simply limit the consumption of foods that contain high levels of sugars and carbohydrates or starches which can be converted by the body into a large amount of glucose. This limiting of the glucose, or sugar, intake has the result of decreasing calorie intake to a large degree and therefore many of the diets that sre designed for weight loss are also good foods for diabetics. This means that to help maintain a glucose level that’s not too high the diabetic should limit their intake of sweets, potatoes, breads, pasta, and rice. As a general rule, white foods contain a good deal of starch which is easily converted into large amounts of glucose. When good foods for diabetics, or even for weight loss, is considered one key thing to remember is that high protein foods are absolutely essential to maintain the muscles and keep the body healthy. Carbohydrates must be a part of everyone’s diet because they convert into glucose which the body needs for fuel, so no healthy diet can be a simple matter of not eating, the key is to eat the right foods in the right amounts. The best place to get advice about good foods for diabetics is from the doctor responsible for the diabetic individual’s treatment. The doctor will be familiar with the individual’s dietary needs, medications, and overall health condition and will be able to either directly offer dietary advice or put the diabetic in touch with a nutritionist for assistance. When it comes to eating healthy for most people the main concern is excess weight, the 1500 calorie diabetic diet plan can, for diabetics, be a matter of life and death. There are many places where a list of healthy snacks for diabetics can be obtained, as a matter of fact, nearly any doctor can provide the information, but the key to a 1500 calorie diabetic diet plan is its effect on successful glucose regulation. Sugary foods such as candies, sodas, and other sweets can cause the glucose to quickly soar to much higher than acceptable limits and the diabetic should generally stay away from such foods. Starches like those found in white colored foods like whitebread, rice, and potatoes can also make glucose climb rapidly because the starches are broken down into glucose by the body. As a general rule, white colored and sugary foods should be avoided by the diabetic, and even in those who are just seeking to control their weight avoiding such foods can be beneficial. Even though not all foods are bad, the 1500 calorie diabetic diet plan helps with glucose regulation and weight loss. The 1500 calorie diabetic diet plan is an important part of the overall health plan that every diabetic should follow to maintain healthy blood glucose levels and head off the worst health effects of diabetes.